Our new service that will add "a real plus" to your consumer insight. 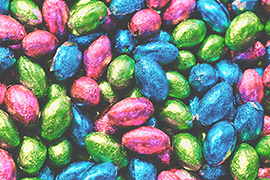 How will a later Easter affect UK consumer behaviour? The latest Dairy update covering the 12 weeks to 24 March 2019. The latest meat, fish and poultry update covering the 12 weeks to 24 March 2019. The latest Grocery Market Share update covering the 12 weeks to 24 March 2019. All Kantar's services and offerings will be delivered under the Kantar brand name. The Alcohol team looks at the nations favourite on St Patrick's day. The latest meat,fish and poultry update covering the 12 weeks to 24 February 2019. The latest dairy update covering the 12 weeks to 24 February 2019. We uncover insights about female consumers and how they're using their spending power. The latest Grocery Market Share covering the 12 weeks to 24 February 2019. Our whitepaper explores the measures retailers and suppliers are taking to prepare for Brexit. Our Usage team explores the consumption habits of British households. Join us at Healthier Futures on 19 March and hear from experts like Public Health England & Tesco. The latest meat, fish and poultry update covering the 12 weeks to 27 January 2019. Almost 16% of all gaming gifts were given to women, up from 12.5% last year. As the world gets ready for St Valentine’s Day, we’re thinking about another sort of relationship. The latest Dairy update covering the 12 weeks to 27 January 2019. 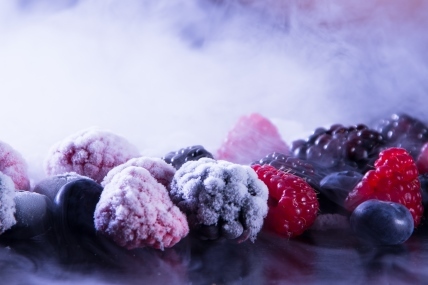 Chris Hayward explores the growth in the frozen sector. Our fashion team's three predictions for the fashion market in 2019. Nathan Ward presented at the NFU Cyrmu Livestock conference on Monday 5 February 2019. The latest grocery market share covering the 12 weeks to 27 January 2019. How dry was your January? 14% of Brits participated in dry January and a further 31% said they would in the future. The latest meat, fish and poultry update covering the 12 weeks to 30 December 2018. The latest grocery market share covering the 12 weeks to 30 December 2018. Fresh primary meat and poultry continue to return to value and volume growth. Our usage care team looks at the culture of self-gifting and personal care products. The grocery market share update covering the 12 weeks 2 December 2018. Every Day Low Price (EDLP) or Promotion? Russell Hill, of our Expert Solutions team explores the topic of price and promotions. Phil Dorsett explains how providing an element of experience can set your NPD apart. When households are managing squeezed budgets, can shoppers still be encouraged to trade up? The latest meat, fish and poultry update covering the 12 weeks to 4 November 2018. The booming out of home market can provide a guide to the experiences consumers are looking for. A new Worldpanel Plus survey of 34,000 panellists finds shoppers are confused about organic. Engagement with personal care: What motivates men? Our Usage Care team explores the hot topic of male grooming and men's engagement with personal care. 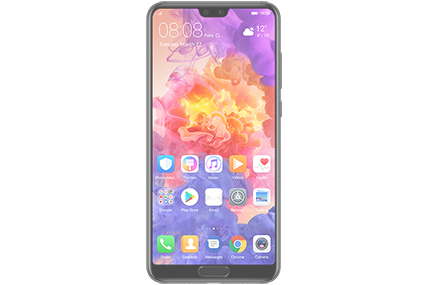 The latest smartphone OS data covering the three months ending September 2018. Brands can target a small number of consumers and still elicit response from a wider audience. Sam Hart of our Expert Solutions team explores whether, for brands, purpose pays. The latest data on the physical entertainment market covering the 12 weeks to 23 September 2018. Character can humanise a product creating an experience which sets it apart from the competition. Online is now an essential channel for retailers to reach their target shoppers. The meat, fish and poultry market update covering the 12 weeks to 7 October 2018. Personalisation is one of the ways brands can add an experiential element to distinguish themselves. The grocery market share figures covering the 12 weeks to 7 October 2018. Total sales of artist albums topped £390 million in the 52 weeks ending 29 August 2018. Our Usage Care team looks at the rise of social media influencers. The Brand Footprint ranking reveals how consumers in Scotland are buying FMCG brands. The latest data covering the 12 weeks to 9 September 2018. The grocery market share figures covering the 12 weeks to 9 September 2018. Our 2019 graduate scheme is now open for applications! Glassdoor name Kantar Worldpanel in the top 10 companies for best jobs. Out now: How does that make you feel? 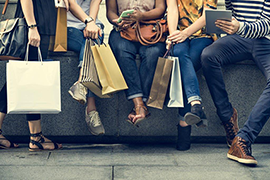 Kantar Worldpanel’s insight paper uncovers the power of consumer experiences. Our Usage team looks at how consumer eating habits fluctuate with the heat. Growth in the dairy market increased in the last 12 weeks, with value sales up 4.2%. Coming soon – How does that make you feel? Our upcoming insight paper on creating stronger connections with consumers through experiences. The grocery market share figures covering the 12 weeks to 12 August 2018. Our expert solutions team uncovers the winning approach to NPD. Holiday spend in the total fashion market is down by 3.3% in the latest quarter. The latest news and analysis from Kantar Worldpanel's dairy team. A third of women in Poland, Brazil, Great Britain, Spain and France claimed they wear little makeup. The marketing podcast from Saïd Business School and Kantar. Radish revolution: The new avocado? Radishes recruited an extra 890,000 households in the past twelve weeks. The entertainment barometer for Q2 2018. Our Usage team looks at consumers’ changing habits in the face of rising prices. Growth in the dairy market accelerated slightly this period, up to 4.1% from 3.8%. Innovation in personal care – does size really matter? Fiona Keenan, Strategic Insight Director, spoke at our client event on 10 July. Smartphone OS data reveals a mixed performance for Android in the three months ending June 2018. The grocery market share figures covering the 12 weeks to 15 July 2018. Most people will say they are interested in their health and diet, does this translate into action? The latest Dairy update covering the 12 weeks to 17 June. The World Cup quarter finals this weekend could generate £860 million of grocery sales. The meat, fish and poultry market update covering the 12 weeks to 17th June. Rachel Knight presented at the Dairy Productivity Collaboration Forum at the House of Lords. 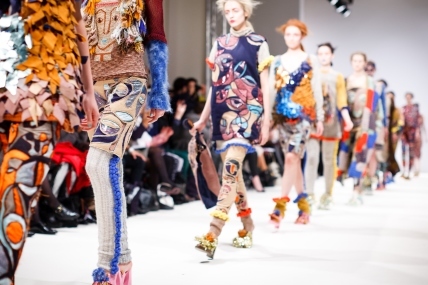 The British fashion market could fall in value by £350 million in the next 12 months. The latest grocery market share figures covering the 12 weeks to 17 June 2018. Is your brand summer ready? Our Usage care team looks at the relationship between category usage and seasonality. 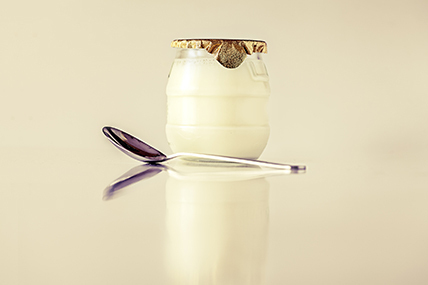 Download your copy today to find out more about how the UK's most chosen dairy brands found growth. Tim Kidd has won a Glassdoor Employees’ Choice Award honouring the Top CEOs in 2018. Download your copy today to find out how the UK's most chosen beverages brands found growth. Stephanie Money looks at how Love Island is an opportunity to fish for new shoppers. The latest dairy update covering the 12 weeks to 20 May 2018. Download your copy today to find out how the UK's most chosen brands found growth. Premiumisation: The answer to declining consumer spend? Phil Tristram, Client Consultant, Expert Solutions, explores the topic of premiumisation. The latest meat, fish and poultry update covering the 12 weeks to 20th May 2018. The grocery market share data covering the 12 weeks to 20th May finds the market in 2.7% growth. The Usage team looks at how brands can find growth in fragmented market. Our Usage team unpicks why Brits are favouring free from. Our Out of Home team takes a look at the nation's lunchtime favourite. Our UK Brand Footprint category reports list the most chosen brands in the 5 key FMCG sectors. Kantar Worldpanel’s latest ranking of the UK’s most chosen brands launches today. Our Expert Solutions Team looks at how to effectively target consumers' daily routines. The latest entertainment retail barometer for the 12 weeks to 8 April. The meat fish and poultry update covering the 12 weeks to 22 April. The latest update from the UK dairy team covering the 12 weeks to 22 April 2018. Our Usage team looks at how UK consumers shop for specific occasions. The grocery market share figures, published today for the 12 weeks to 22 April 2018. Are casual dining restaurants coming to a crunch? 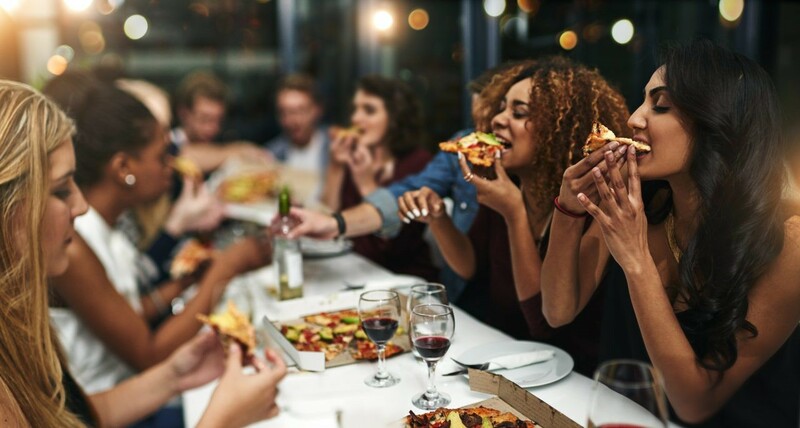 Our Out of Home team looks at the future of chain restaurants. Great British Beef week returns for its eighth consecutive year - and sales of beef are up. In 2017 Brits spent £49 billion on food and drink bought and consumed out of the home. Kantar Worldpanel has been recognised as the one of the Best Workplaces in the UK. OOH consumption makes up nearly half (41%) of global spend on snacking and non-alcoholic beverages. Chris Hayward presented to the AF Blakemore supplier conference on the convenience channel. Giles Quick's presentation at AHDB’s consumer insight conference in Stratford on 17 April. Our Usage Care team looks at the size of the opportunity in unnatural hair colourants. Hot coffee is bought and consumed outside the home by over half the population. The latest update from our Dairy team covering the 12 weeks to 25 March. The latest grocery market share data covering the 12 weeks to 25 March 2018. Our Usage team unpicks the consumer behaviour of the over 65s. The latest data for 2018 shows it's not all doom and gloom for bricks and mortar. The latest update from our dairy team for the 12 weeks to 25 February. Fraser McKevitt's presentation at The Grocer Conference 2018: How to Win in Online Grocery. The latest edition of the Dairy Focus Winter/Spring 2018.
International Women’s Day – female purchasing power! We uncover insights about modern women shoppers, and how they’re using their spending power. The grocery market update for the 12 weeks to 25 February 2018. Our Usage team on how the UK's focus on health is affecting our breakfast choices. The dairy update for the 12 weeks to the 28th January. The latest entertainment retail barometer for the 12 weeks to 14th January 2018. Our Usage team looks at how we eat and when we eat alone. Our analysis of the best selling new brands of 2017. How did the UK say I love you in 2017? A round up of the most popular ways Brits celebrated Valentine's Day in 2017. The grocery market update for the 12 weeks to 28th January 2018. Our Usage team unpick the fastest growing reason for our food and drink choices - health. UK iOS market share fell by 2.4 percentage points in the last three months of 2017. 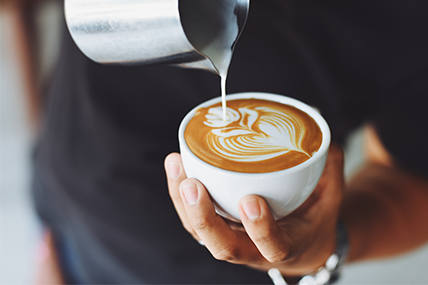 Our out of home expert Sophie Read gives her view on the 25p “latte levy”. Dominic Brown's presentation to the 2018 Semex International Dairy Conference. What's in store for fashion in 2018? Our fashion team's three predictions for the fashion market in 2018. A review of the dairy market for the 12 weeks to 31 December 2017. The latest newsletter from our meat, fish and poultry team reflects on an eventful year. Grocery market share figures for the 12 weeks to 31 December 2017. Our experts comment on the trends that will be key to attracting new shoppers in 2018 and beyond. The meat, fish and poultry update for the 12 weeks to 3 December. Using Worldpanel Plus, our brand new gifting report gives you broader, faster and deeper insights. The average shopper spends 25% of their annual health and beauty outlay in the run up to Christmas. Our latest edition of The Greengrocer. The latest grocery market share figures covering the 12 weeks to 3 December 2017. Our ranking of the most chosen Food and Drink brands in Scotland. Our latest Meat, Fish and Poultry (MFP) market update covering the 12 weeks ending 5th November. The latest grocery market share figures for the 12 weeks to 5 November 2017. Dairy market update for the 12 weeks to 8 October 2017. Our online usage service is 5! Our online Usage service is 5! But how much have British consumers' attitudes and choices changed? In our latest paper, we look at the changing behaviour and attitudes of the Irish family unit. Is there more to winning at Halloween than treats? Hear from our Grocery Retail Team on the tricks and treats in store for retailers this Halloween. The latest data on the physical entertainment market for the 12 weeks to 24 September 2017. The latest grocery market share figures for the 12 weeks ending 8 October 2017. The latest grocery market share figures for the 12 weeks ending 10 September 2017. An update on the Dairy Market for the 12 weeks to 13 August 2017. The meat, fish and poultry update for the 12 weeks ending 13th August 2017. The latest grocery market share figures for the 12 weeks ending 13 August 2017. The latest Meat, Fish and Poultry update for the 12 weeks ending 16 June 2017. The latest grocery market share figures for the 12 weeks ending 16 July 2017. Our view on the forces at play in butter and spreads. The Meat, Fish and Poultry market update for the 12 weeks ending 18th June 2017. Where next for own label snacking? Presentation to Snackex conference on own label marketing for snack brands in Europe. The Thread this month looks at millennials, who continue to be the focus for fashion retailers. An analysis for Facebook to understand the synergistic effect between TV and Facebook ad campaigns. Dairy maintained growth of 3.7% in the 12 weeks to 21 May. An update from the Fashion Team on the women’s swimwear market, which is seeing year on year growth. The latest Brand Footprint UK ranking reveals Brits are developing taste for home-grown brands. Our latest Thoughts On paper looks at how consumers counteract rising prices. The latest figures for Meat, Fish and Poultry covering the 12 weeks ending 23 April 2017. The latest grocery market share figures for the 12 weeks ending 23 April 2017. David Sampson's presentation to the Innobev Global Beverages Congress in Frankfurt on 24 April 2017. The latest dairy market update for the 12 weeks ending 26th March. Do shoppers buy fashion seasonally? The latest fashion update for the 52 weeks ending 12th March 2017. The latest data on physical entertainment for the 12 weeks ending 12 March 2017. The latest Meat, Fish and Poultry (MFP) market report, covering the 12 weeks ending 26 March 2017. The latest grocery market share figures, published today for the 12 weeks ending 26 March 2017. Fraser McKevitt's presents at the Kantar Retail Insights Forum in Amsterdam. Where are the opportunities in catalogue film? James Brown presented at the BASE Insight Forum about consumer behaviour in catalogue film. 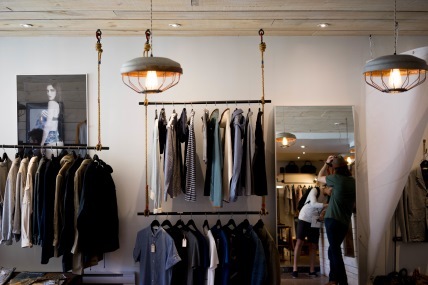 Is branded clothing becoming more important? Nathan Ward spoke at the Scottish Salmon Producers Organisation conference on 16 March 2017. The latest Meat, Fish and Poultry (MFP) figures for the 12 weeks ending 26th February 2017. The dairy market update for the 12 weeks to the 26th February. Fraser McKevitt presented at The Grocer's own label conference on 14th March 2017. Chris Hayward's presentation to the British Federation of Frozen Food conference on 7 March 2017. Kantar Worldpanel has been recognised as one of the Sunday Times 100 Best Companies to Work For. Nathan Ward, Business Unit Director at Kantar Worldpanel presents at the NFU annual conference. The latest Dairy figures for the 12 weeks ending 29th January 2017. Chris Cowan's presentation to the Fruit Logistica event on brands in produce on 8 February 2017. Black Friday: Is it deserving of all the hype? The latest figures from Kantar Worldpanel ComTech on the home services market. The latest data on the physical entertainment market in the 12 weeks to 18 December. Promotions: Do you know what you don’t know? New research from Kantar Worldpanel reveals that the cost of the common cold. Have fashion retailers gone overboard? When trendy can turn into too trendy: Have fashion retailers gone overboard in trying to stand out amongst the crowd? The latest figures on the home services market – covering broadband, fixed landline and paid television. 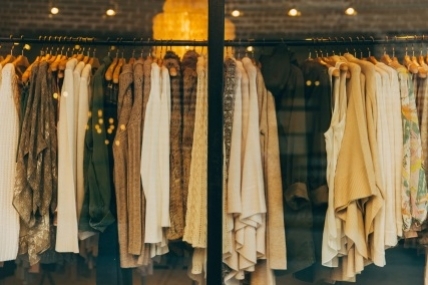 Kantar Worldpanel looks at the Top 5 fashion retail trends that are happening right now. The denim market: Is it all Blue Monday for Jeans? The latest Meat, Fish and Poultry (MFP) figures from Kantar Worldpanel for the 12 weeks ending 19th June 2016. 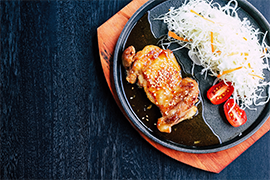 The latest Meat, Fish and Poultry (MFP) figures from Kantar Worldpanel. Grocery share figures from Kantar Worldpanel, published today for the 12 weeks ending 24 April 2016. Latest ComTech report covering the home services market reveals a positive outlook for TalkTalk. The key proteins in red meat are all seeing depressed volumes. The latest grocery share figures from Kantar Worldpanel for the 12 weeks ending 28 February 2016. To receive the official Grocery Market Share announcement every four weeks, please contact us. The latest grocery share figures from Kantar Worldpanel for the 12 weeks ending 31 January 2016 now available. Only Chilled Fish is showing value growth at a macro category level. Showers are the most popular way people keep clean, but soaking in a bath isn't dead just yet. The latest Meat, Fish and Poultry figures have seen a volume growth for all of the macro markets. 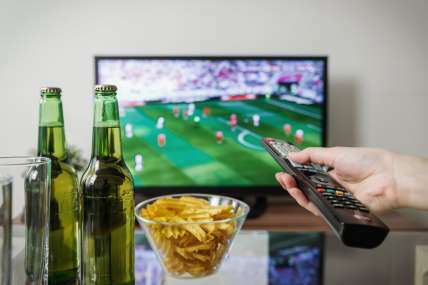 New research has revealed that premium sports content is still a major draw for consumers. Kantar Worldpanel has appointed Amanda Brown as its new strategic insight director for Scotland. The latest smartphone sales data across Europe’s five largest markets. New research finds a shift in the contents of children’s lunchboxes since the millennium. The latest grocery share figures show continued sluggish growth in the British grocery market. The latest entertainment data shows a brighter picture for the physical entertainment market. Something fishy about the BBQ season? The latest Meat, Fish and Poultry have seen faster volume growth for Meat & Poultry. The latest grocery share figures show a slow growth in the British grocery market. Online’s share of FMCG purchasing in advanced e-commerce markets will double in the next 10 years. The latest Meat, Fish and Poultry update shows deflation holding back overall spend in the market. The latest figures show the overall grocery market slipping back into decline. The latest data shows the Android OS continuing to reclaim market share in the US. ComTech asked its 15,000 strong panel about their intentions to buy a smartwatch. Deflation remains a key trend in fresh meat and poultry. Four out of the top five brands are home-grown UK favourites. Fresh meat and poultry drop into volume as well as value decline. The latest grocery share figures show supermarket sales have slowed to a revenue growth of 0.2%. Grocery figures from Kantar Worldpanel UK show Aldi as the sixth largest supermarket. The latest Meat, Fish and Poultry figures see all categories in volume growth. The latest GB supermarket share figures show that deflation has reached a new low of -1.6%. We picked the most interesting mobile questions from our Twitter followers. 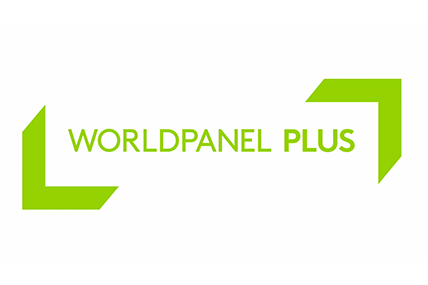 Kantar Worldpanel was placed at number 67 in the The Best Companies 2015 awards. Kantar Worldpanel announces the best-selling grocery product launches of 2014. The latest Meat, Fish and Poultry figures show that beef has seen a boost. The latest supermarket share figures show the grocery market growing at 1.1%. Amazon took one in every four pounds spent in entertainment. In this edition, our experts investigate the performance of Meat & Poultry over the festive season. 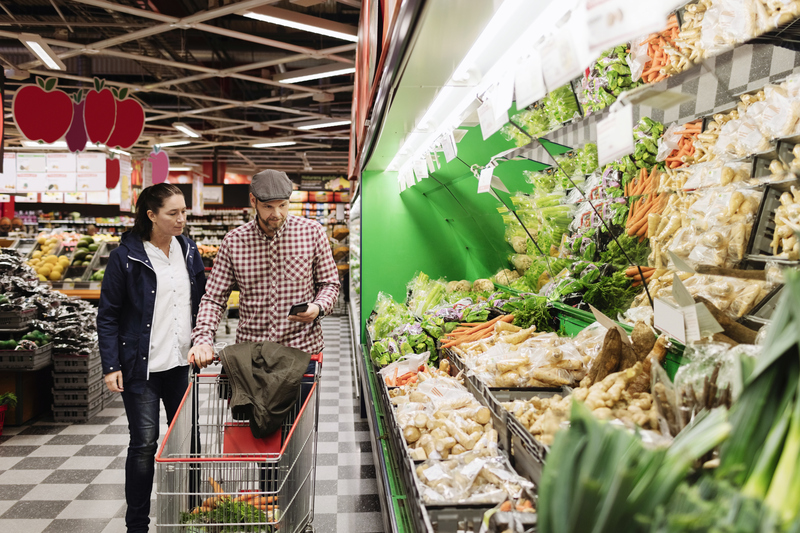 The grocery market grew at its fastest rate since August 2014. The latest grocery share figures show market has returned to marginal growth. Apple now accounts for 39.5% of British sales, its highest ever level. The British grocery market has fallen into decline for first time since records began. 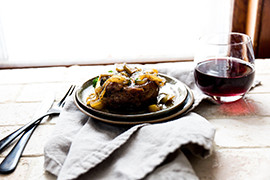 Our Meat and Poultry experts investigate the causes of the decline in red meat volumes. Android continues to dominate the European OS market as Apple increases share and volume. 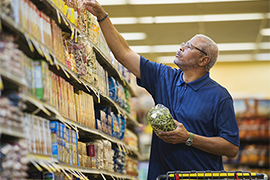 The latest grocery share figures show like-for-like prices have declined by 0.2%. Apple’s share in Britain is holding steady ahead of the iPhone 6 launch. Latest supermarket share figures show overall grocery market growth slowing to a new record low. Traditional high street names, such as GAME and HMV, are stealing share back from the supermarkets. The latest supermarket share figures show familiar trends of market polarisation. Latest supermarket share figures show market growth bouncing back to 2.8%. The UK leads Europe in online FMCG retail. Growth in the health and beauty sector is with discounters and bargain stores. Brand Footprint reveals the Top 50 Most Chosen FMCG brands in the world. Local brands are winning, with Warburtons, McVities and Cadbury’s Dairy Milk all in the top 10. Avonmore leads as Ireland’s most chosen brand. Latest supermarket share for Ireland shows growth for the first time in six months. The latest supermarket share data from Kantar Worldpanel. Latest Ireland supermarket share figures for the 12 weeks ending 30 March. The latest supermarket market share data from Kantar Worldpanel. Latest supermarket share in Ireland, for 12 weeks ending 2 March, show SuperValu is now Ireland’s second largest grocer. The latest grocery share figures from Kantar Worldpanel, published today for the 12 weeks ending 2 March 2014. Kantar Worldpanel UK is celebrat its listing in The Sunday Times Top 100 Companies. Consumer Mix Modelling can measure marketing RoI at sophisticated levels. The latest grocery share figures show that over 1/2 the country shopped in Aldi or Lidl during the past 12 weeks. Here Joanne Lunn comments at the launch of Appetite for Change. Our latest Insight Report – Appetite for Change? Nutrition and the nation’s obesity crisis. The latest grocery share figures from Kantar Worldpanel, show sustained growth for Sainsbury’s throughout 2013. Shopping for Groceries: What if online retail was bigger than Tesco? HMV has slipped to fifth position as Tesco takes over the reins and Amazon dominates the top spot. Kantar Worldpanel Grocer Share app is back! Optimised for iPad, iPhone & Android and now with data from GB, Ireland, Spain & Portugal. The latest grocery share figures from Kantar Worldpanel confirm the polarisation of the grocery market with excellent performances from Aldi and Waitrose. The first ranking of the most chosen global FMCG brands launched today by Kantar Worldpanel reveals the brands that are being bought by the most consumers, the most often. Are we cutting back on eating meat in the recession? Are GM foods a concern for British shoppers? The latest data from Kantar Worldpanel shows a strong performance by the supermarkets in the entertainment market. Cheap, unhealthy food is a major driver of obesity - but what are the numbers? The latest smartphone sales data from Kantar Worldpanel ComTech shows LG coming back to life in Great Britain with its share hitting 4.3% in the three months to February 2013*, almost solely driven by the Google branded Nexus 4. The latest supermarket share figures from Kantar Worldpanel in Ireland, published today for the 12 weeks ending 17 March, show Superquinn growing ahead of the market for the first time in five years – increasing its sales by 1.9%. How long do we spend in the kitchen cooking our main meal? The latest supermarket share figures from Kantar Worldpanel in Ireland, published today for the 12 weeks ending 17 February, reveal the initial impact of January’s horsemeat scandal on consumer shopping habits. Kantar Worldpanel UK a Sunday Times Best Company! Kantar Worldpanel, is a Sunday Times Best Companies to Work For, for a third year running. Are we aware if we are overweight? Are we putting more or less processed foods in our shopping baskets? As a nation do we buy softdrinks for health reasons? What is important to British consumers when deciding what goes in their shopping baskets? The latest supermarket share figures from Kantar Worldpanel in Ireland, for the 12 weeks ending 20 January 2013, show Dunnes’ improving fortunes in recent months accelerating into the New Year with sales growth of 4.6%. As a nation have we managed to cut the amount of salt we are buying? The latest grocery share figures from Kantar Worldpanel, published today for the 12 weeks ending 20 January, show Tesco maintaining its market share and matching market growth for the first time since June 2011. The latest figures from Kantar Worldpanel* show Amazon grew its share of the entertainment market by 3.1 percentage points to 23.4% in the run up to Christmas – increasing its lead over the troubled HMV. How many of us hit our 5-a-day target? The latest grocery share figures from Kantar Worldpanel, published today for the 12 weeks ending 25 November, show the grocery market growing at 3.2%. The latest smartphone sales data from Kantar Worldpanel ComTech shows that strong uptake of the iPhone 5 over the past 12 weeks* has boosted iOS back to the number one spot in the US. The latest grocery share figures from Kantar Worldpanel, published today for the 12 weeks ending 28 October, show sharply differing fortunes for the big four supermarkets. The latest grocery share figures from Kantar Worldpanel for the 12 weeks ending 2 September, show the grocery market growing at 3.3%. The latest supermarket share figures from Kantar Worldpanel in Ireland show the Irish grocery market has fallen by 0.9% over the past year. 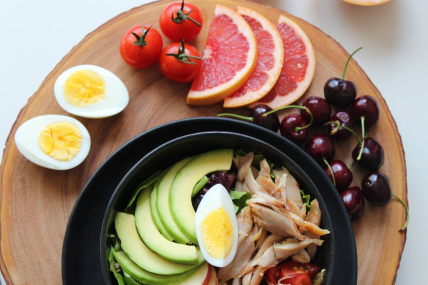 The latest grocery share figures from Kantar Worldpanel for the 12 weeks ending 5 August, show the grocery market has bounced back and is now growing at 3.9%. The latest grocery share figures from Kantar Worldpanel. The latest figures from Kantar Worldpanel* show Amazon holding its top spot. The latest grocery share figures from Kantar Worldpanel for the 12 weeks ending 15 April 2012, show the market growing at 5.0%. New grocery market figures from Kantar Worldpanel in Ireland, published today for the 12 weeks ending 18 March 2012. The latest grocery share figures from Kantar Worldpanel for the 12 weeks ending 18 March 2012, show the market growing at 4.0%. Kantar Worldpanel has been listed on the prestigious Sunday Times Best Companies to Work For. 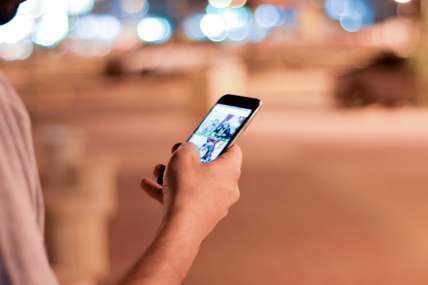 Over half of the British population (50.3%) now owns a smartphone according to the latest data from Kantar Worldpanel ComTech. The latest grocery market figures from Kantar Worldpanel in Ireland for the 12 weeks ending 22 January 2012, show a significant fall in growth to just 0.2%. The latest grocery share figures from Kantar Worldpanel for the 12 weeks ending 25 December 2011, show the grocery market growing at 4.8% per year. The latest grocery share figures from Kantar Worldpanel for the 12 weeks ending 27 November 2011, show the grocery market growing at 4.2% per year. The latest grocery market figures from Kantar Worldpanel in Ireland for the 12 weeks ending 4 September 2011, show the market in value decline for the first time since August 2010. The latest grocery market figures from Kantar Worldpanel in Ireland for the 12 weeks ending 7 August 2011, show flat market performance as shoppers make further cuts to their spending. The latest grocery share figures from Kantar Worldpanel for the 12 weeks ending 10 July 2011, show respectable overall growth of 4.6%. The latest grocery share figures from Kantar Worldpanel for the 12 weeks ending 12 June 2011 show the grocery market growing at 4.7% per year. The latest grocery market figures from Kantar Worldpanel in Ireland, published today for the 12 weeks ending 15 May 2011, show Dunnes Stores has increased its market share for the first time since August 2009. The latest grocery share figures from Kantar Worldpanel, published today for the 12 weeks ending 15 May 2011, show that the grocery market has bounced back. The latest grocery share figures from Kantar Worldpanel for the 12 weeks ending 17 April 2011, show stellar performances for Aldi and Lidl. The latest grocery market figures from Kantar Worldpanel in Ireland for the 12 weeks ending 20 March 2011, show a dramatic response by consumers to food price inflation. The latest grocery market figures from Kantar Worldpanel in Ireland for the 12 weeks ending 20 February 2011 show shoppers are feeling the pinch from increasing food prices. The latest grocery share figures from Kantar Worldpanel for the 12 weeks ending 20 February 2011 show that the market is subdued as shoppers watch their pennies. As we celebrate National Chip Week, the latest research from Kantar Worldpanel shows that chips are a firm favourite with Britons.